We know to put on a helmet every time we ride, but helmets are not the only basic protection that riders need. Other than helmets, motorcycle safety gear such as riding gloves, boots and jackets will comfort your body and protect your limbs from injury during accidents. It wasn’t too long ago that I purchased a used Kawasaki KLR 650 and I was faced with an entirely new style of riding. Now that I could venture offroad I knew my street riding gear was not going to be well suited for that type of riding. I also knew that I would be falling and I didn’t want to trash my street gear by knocking it about in the gravel and dirt. The Sidi Discovery Rain boot is a multi season dual sport/adventure boot that bridges the gap between a road boot and a full mx boot. The Discovery is designed specifically for riders that need more comfort and flex than most mx boots provide. The Sliders 4.0 Kevlar Riding Jeans are fantastic. 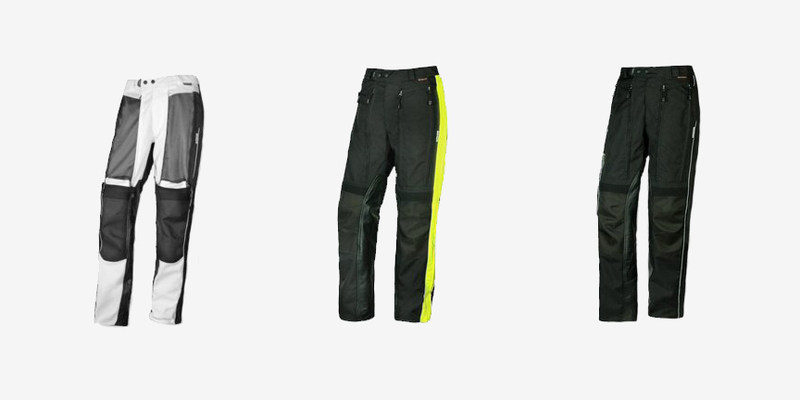 The Sliders jeans are priced very competitively and provide a great deal of protection for riding jeans. The Aeromoto Sport leather jacket is a great value. The quality was better than expected at this price point and the jacket performed very well. The styling of this jacket is at home in the saddle, commuting to work, or hanging out down town.